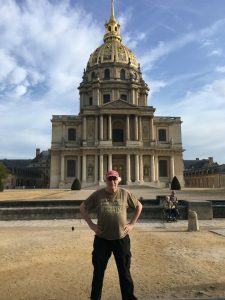 Les Invalides or Hôtel des Invalides is a vast complex of buildings in Paris including museums and monuments relating to the military history of France. As per its name it was originally built by Louis XIV as a hospital and a retirement home for war veterans. Pictured here is the Dôme des Invalides, a large church, the tallest in Paris which contains the tombs of some of France’s war heroes, most notably Napoleon. The complex had 15 courtyards for military parades. At the church, attendance was mandatory. Louis XIV also commissioned his architect Mansart to construct a separate royal chapel referred to as the Église du Dôme from its most striking feature (pictured). By combining a royal chapel with a veterans’ chapel, the King and his soldiers could attend mass at the same time while entering the place of worship though different entrances, as prescribed by court etiquette at that time. I’d like to think the gentleman sitting there (in the wheelchair and on the bench) are two of our veteran heros.. 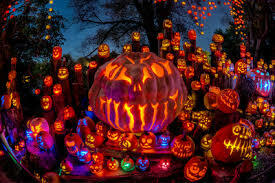 It is no coincidence that this unique event is being held in Fayetteville, close to Fort Bragg, one of the largest military bases in the free world. 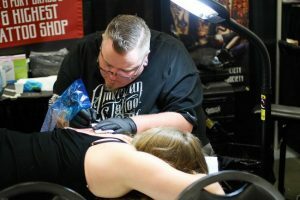 The goal of the All American Tattoo Convention is to give some of the best tattoo artists in the world the opportunity to showcase their talents to some of the bravest heroes in the world, all while raising money to assist soldiers with PTSD, and other combat related injuries, veterans and families of soldiers. Tattoos and the US armed forces have a history dating back as far as the early 1900’s. 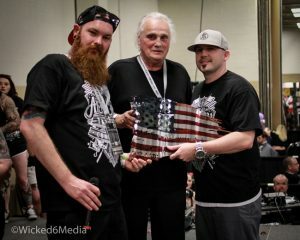 There are countless inked active duty and war veterans. 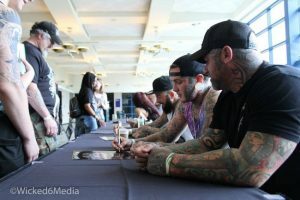 Tattoos and body art can tell a story that words fail to provide, giving these veterans an outlet to express themselves and show the pride in being a part of something bigger than themselves. 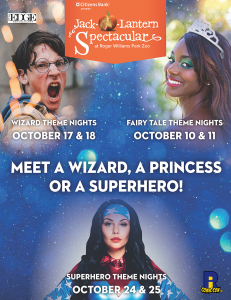 Just a few of the many special events being planned include: Tattoo Contest, All Veteran Parachute Team, Air Born Aerial Performers and Fitness, Emcee Johnny “Awesome” Ivey, Ms. All American Pin-Up Contest and Fayetteville Roller Derby Rogue Rollergirls. Refer to the website for all artist, vendor and event information. The 33rd Annual Whitehall Lecture Series, Heroes of the Homefront: World War I and the Faces of Wartime America, commemorates the roles of American soldiers and supporters during World War I. Each lecture will provide a unique range of historical perspectives, including those of political and military leadership, the Doughboys on the front lines, minority infantrymen conscripted to battle, and women on the homefront and abroad. Heroes of the Homefront will evoke a new appreciation for America’s participation in World War I and address the ways in which American culture was changed forever because of it. When possible, a book signing with the speaker follows each lecture. All lectures start at 3:00 pm. Online visitors can experience each lecture via a free Livestream broadcast at http://flaglermuseum.us/programs/lecture-series where visitors may listen live, see the presentation and ask the lecturer questions. Presented by Henry Morrison Flagler Museum, the first museum exhibit devoted to the image of the World War I pilot-hero, Knights of the Air honors the daredevil pilots who risked everything for the cause at the dawn of aviation. Imbued with a sense of adventure and fierce patriotism, aviators became the face of the War efforts back home. Works of art, souvenirs, postcards, and newspapers celebrated their valiant efforts. After the War, the romance of flight was embodied in new types of daring aviators, such as barnstorming aerial acrobats, air mail pilots, and bootleggers. Popular pulp magazines such as George Bruce’s Squadron and Hollywood films like Wings (1927) capitalized on the appeal of the brave World War I aviator, inspiring many future pilots who would serve America in commercial aviation and future military conflicts. Organized by the Flagler Museum in commemoration of the 100th anniversary of America’s entry into World War I in 1917, Knights of the Air features works of art, artifacts, and printed materials on loan from the private collection of Jean S. and Frederic A. Sharf, and other private and public collections. 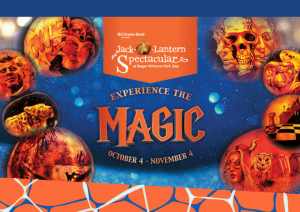 Guided exhibition tours will be offered Wednesdays at 10:30 a.m. and 3:30 p.m., beginning October 25. The exhibition and tours are free with Museum admission. The Flagler Museum will offer free Museum admission to active duty, reserve, and retired U.S. Military each Wednesday for the duration of the exhibition (proper identification required). Join exhibition curator Janel Trull on Veteran’s Day for an illustrated lecture about Knights of the Air: Aviator Heroes of World War I, to learn about these heroic pilots and their lasting legacy. Closed Mondays, Thanksgiving Day, Christmas Day, and New Year’s Day. 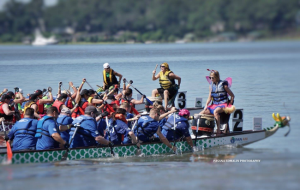 Don’t miss one of the Lowcountry’s signature events, the annual DragonBoat Beaufort Race Day. 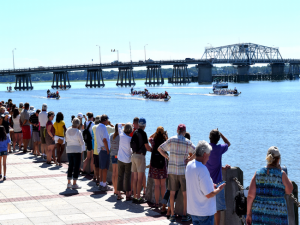 The exciting dragon boat races will take place Saturday, June 24, 2017 at at Henry C. Chambers Waterfront Park on the river from 8-4. 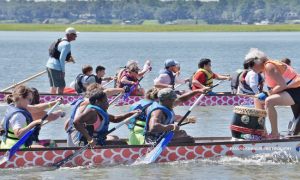 Witness the fierce competition and camaraderie as teams of paddlers race on the Beaufort river to win trophies and raise money for local cancer patients. Among the fun and festivities will be an opening ceremony, three heats of races, the moving Carnation Ceremony for cancer survivors and their families and the closing medal ceremony. DragonBoat Race Day will include many local businesses, community groups and teams of friends and family racing against each other. The mixed Cancer Survivor Division will be the showcase for the heroes and heroines, honoring the spirit of DragonBoat Race Day. Twenty paddlers sitting side-by-side in a dragon-headed 42 foot-long vessel, paddling furiously to the beat of an emphatic drummer. The goal: physical wellness and psychological well-being through this thrilling, team-oriented support program that even offers opportunities to travel to competitions worldwide. There will be 35 teams each racing three times. There will be two divisions – Mixed Community and Cancer Survivor teams. All teams race together. Cancer Survivor teams must have at least 8 cancer survivors in the boat during each race. After the first and second heats, teams will be placed in racing categories based upon their time; the third heat will decide the medals. Cancer Survivor placings decided by accumulating the two best times from each team. Gold, Silver and Bronze medals will be awarded for the top three finishers in each racing categories during the Awards Ceremony at the end of the day. 36 mySQL queries executed in 0.559 seconds.